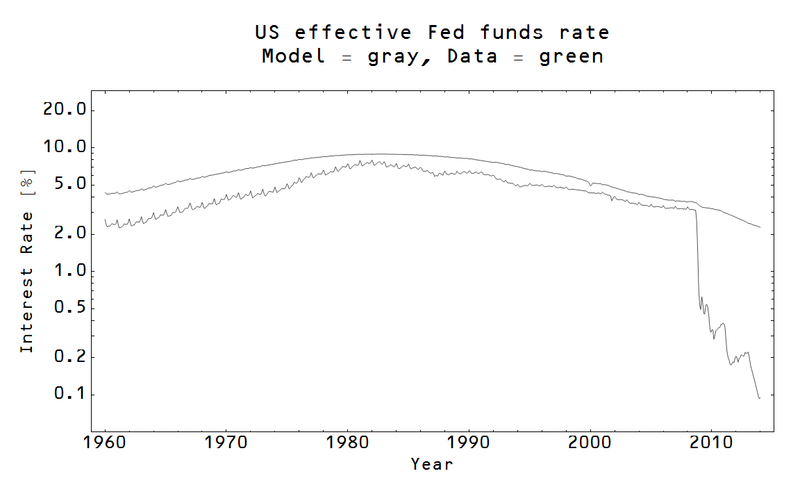 Information Transfer Economics: Are interest rates a good indicator of recessions? Are interest rates a good indicator of recessions? 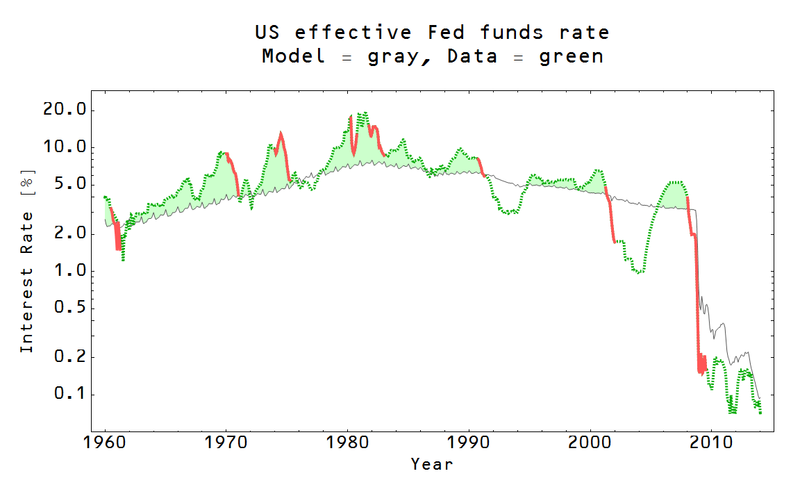 Almost every time the actual effective Fed funds rate (green) is above the theoretical curve (gray) a recession follows. This is actually a better indicator than NGDP in the earlier post. so that if log NGDP is above where it "should" be, then log r will be above where it "should" be. Note that these two lines include fluctuations of the monetary base (and currency) -- only a small fraction of the remaining fluctuations in the interest rate come from changes in NGDP. That means most of the fluctuations in the interest rate (the ones that become indicators of a recession two graphs above) are deviations from the model. Therefore the market seems to be doing the indicating. Markets desiring high interest rates could be a sign of many things (never reason from a price [change]), one of which is expected future NGDP growth (why put money in Treasuries when there are higher returns in the stock market or other investments -- a mechanism that lowers demand). That is interesting: it is an indication that over-optimism can lead to a recession (as I've discussed before). Another possibility is that high rates result from an excess supply of Treasuries (too much government deficit spending outside of a recession leads to a recession). There are other possibilities; feel free to add your own in comments! Right before the recession rates go up but the reason rates go up is they were too low before that. So low rates and then $140/brl oil get the fed to push rates up. In the 1920s the new Fed made a boom called "the roaring 20s" and then as people took out their gold the Fed tightened the money supply. Will I be labeled an ECB apologist, too? 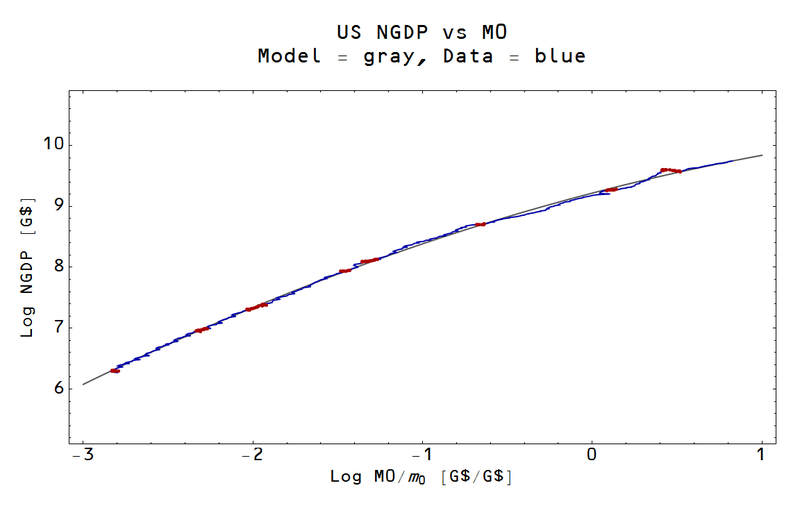 Can information theory predict recessions? 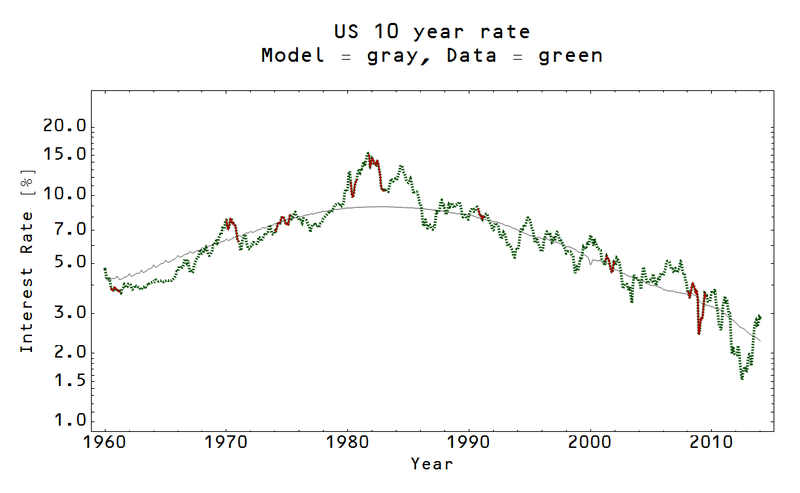 When will information theory influence economics?